Welcome to Wall-to-Wall Equipment, the Monday morning gear wrap-up in which GOLF equipment editor Jonathan Wall takes you through the latest trends, rumors and breaking news. This week, that includes the history behind Scotty Cameron’s Circle T logo, where a top amateur could land when he turns pro and much more. Take a close look at Paul Casey’s Scotty Cameron Newport 350 SSS putter and you’ll notice a single letter T almost completely encircled on the toe. The logo doesn’t carry the iconic weight of McDonald’s golden arches or Nike’s swoosh, but that doesn’t diminish the importance of Cameron’s highly-coveted “Circle T” in equipment circles. As you’d expect with a Cameron creation, there’s a story behind how the Circle T came to be — and it has more to do with practicality than creativity. 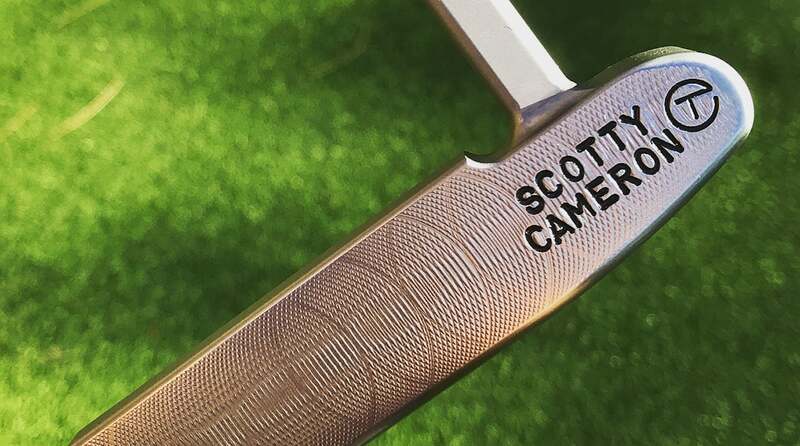 Back in 1994, Cameron joined Titleist following the launch of his own Scotty Cameron Classic line two years prior. In the midst of trying to make a name for himself at Titleist, Cameron would send putters to all of the major tours for players to use. One week, putters that should’ve been bound for the PGA Tour ended up making their way to the LPGA, thereby forcing Cameron to come up with a way to ensure the mixup never happened again. A Circle T logo is positioned prominently on the heel of Paul Casey's Scotty Cameron putter. Enter the Circle T logo. Cameron’s creation proved to be a massive success — he no longer had to worry about boxes going to the wrong tour — but he didn’t imagine the logo itself would be such a hit. Not long after Cameron sent the Circle T box to tour, a rep reached to inform him that players wanted to see more of the logo. These days, the Circle T serves a dual purpose. It helps Cameron keep tabs on his PGA Tour creations, while at the same time acting as a status symbol for recreational golfers who are willing to pay up for a putter with the Circle T stamped on the head. So what’s the difference between a Circle T putter and an off-the-rack version? Some Circle T putters are made from exotic materials — including Billet Block Copper and German Stainless Steel — that increase the value, while others have unique stamps on the face or in the cavity that are only offered with select tour-only putters. 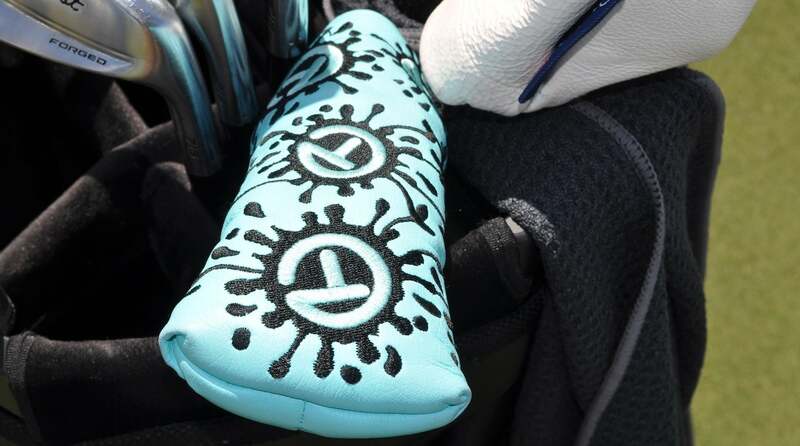 The logo can even be found on headcovers and other Cameron accessories. Depending on the head material and stamping, it’s not out of the realm of possibility to shell out $8,000-plus for a Cameron tour putter. With a Circle T logo, of course. Scotty Cameron's Circle T logo was initially designed with a practical purpose in mind. Jon Rahm was one of a handful of players who made minor adjustments to their setup in Florida. The Spaniard added a 19-degree TaylorMade M5 fairway wood, while Tyrrell Hatton inserted a 15-degree M6 and Rory Sabbatini a full set of P760 irons (5-PW) and P790 UDI (4-iron). Last week at the Players Championship, Eddie Pepperell added two Mizuno JPX 919 Hot Metal Pro long irons and finished T3. Paul Casey outdid his fellow Englishman by notching a win the first week out with Hot Metal Pro. Casey has always carried at least one long iron with a touch more forgiveness than his MP-5’s, but after returning to an MP-25 3-iron he used regularly — Casey was testing Honma’s TW-U Forged utility iron — Casey chose to replace his 4-iron with a single Hot Metal Pro iron. Compared to the game-improvement JPX 919 Hot Metal, the Pro model, which was released earlier this year, features a multi-thickness, one-piece face construction and re-engineered sound ribs for feel. The overall head size was also reduced, but not to the extent of Koepka’s iron. Titleist swept the board in every major equipment category for the fourth times this year. That includes the driver count, where the company’s TS3 was far and away the most-played model on tour. According to Titleist, TS3 has been played 306 times this season, nearly 100 more than the next closest competitor. Aaron Dill is cranking out one-off wedge creations that’d make any pro proud this season. The Vokey wedge rep’s latest masterpiece is a multi-color Cameleon for Robert Streb that matches the tournament’s logo. This one will be nearly impossible to top, based solely on Dill’s incredible attention to detail. @titleist @vokeywedges @therealstrebber @valsparchamp Love this stamp job, will be one of my favorites for years to come. The perfect wedge for the Valspar. At 17 years old, Akshay Bhatia is one of the brightest stars in amateur golf. Come next season, we’ll no longer have to wait to see how he handles life as a professional. The lanky Wake Forest golf prodigy announced he’ll forego college and turn pro after one final summer of amateur golf. Bhatia made his PGA Tour debut at Valspar Championship, where he donned a TaylorMade staff bag, 14 of the company’s clubs and TP5x golf ball. Anything can happen between now and when Bhatia officially turns pro, but his setup at the Copperhead Course gives an indication of who should be the frontrunner at the moment.